We looked at the top 12 Countertop Blenders and dug through the reviews from 106 of the most popular review sites including Consumer Reports, Healthy But Smart, Trusted Reviews, CNET, Top Ten Reviews, Healthy Easy Smoothie and more. The result is a ranking of the best Countertop Blenders. Our experts reviewed the top 12 Countertop Blenders and also dug through the reviews from 106 of the most popular review sites including Consumer Reports, Healthy But Smart, Trusted Reviews, CNET, Top Ten Reviews, Healthy Easy Smoothie and more. The result is a ranking of the best of the best Countertop Blenders. If you want a powerful blender that can tackle any food challenge, you can't go wrong with the Vitamix 750, the top overall recommended blender. In addition to being able to make everything from smoothies to frozen drinks, this blender also has pre-programmable settings that make blending a breeze. DWYM Kitchen Experts plus Consumer Reports, Trusted Reviews, Good Housekeeping, Tech Gear Lab, BestReviews, Blender Reviewer and 2 more. Along with user reviews from Amazon, Walmart and Best Buy.
" Icy drinks performance was excellent. Puree performance was excellent. Ice Crush performance was excellent." "Pricey. Not suitable for dishwasher cleaning"
You'll save a little money while sacrificing very little by going with the Vitamix 5200 blender. 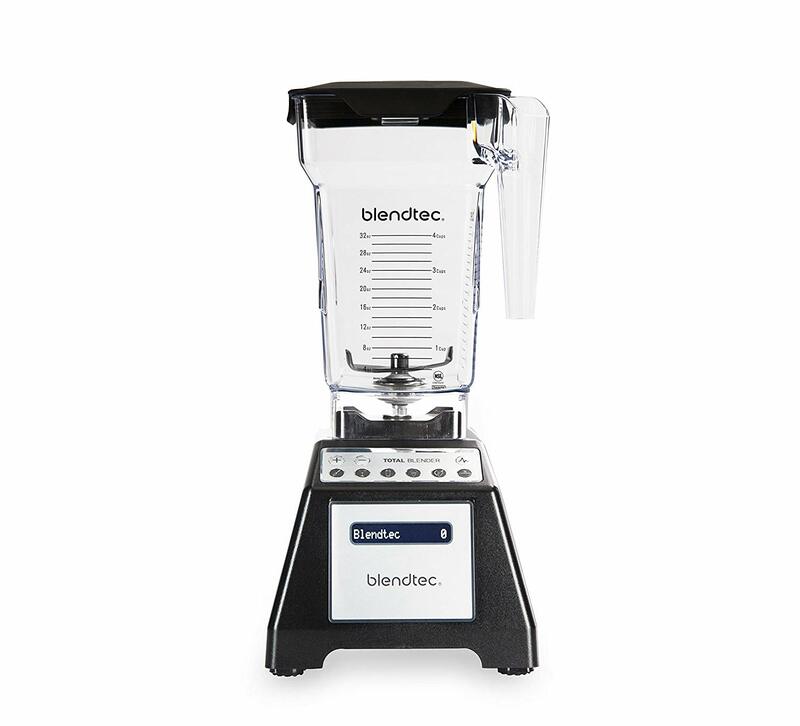 Although there's no pulse mode, this blender can handle any blending challenge you send its way. DWYM Kitchen Experts plus Consumer Reports, Top Ten Reviews, Healthy But Smart, The Spruce Eats, BestReviews, New York Times Wirecutter and 2 more. Along with user reviews from Amazon, Walmart and Best Buy.
" Icy drinks performance was excellent. Puree performance was excellent. Ice Crush performance was very good." "It is not dishwasher safe." 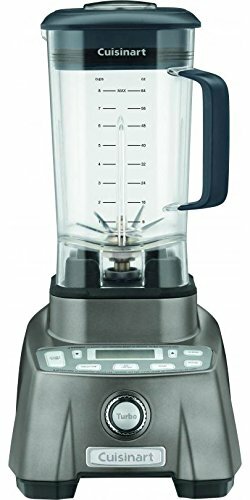 This five-speed blender can chop and blend basic ingredients for shakes and smoothies, making it a good deal for the price. This is the perfect blender for an occasional user. 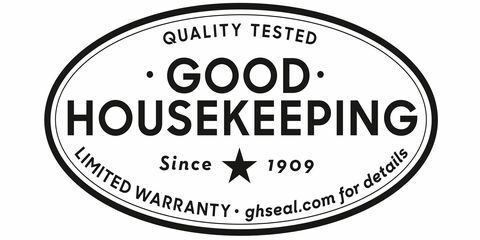 DWYM Kitchen Experts plus Good Housekeeping, New York Times Wirecutter and 1 more. Along with user reviews from Amazon, Best Buy, Walmart and Home Depot.
" Excellent at making smoothies. Excellent at chopping onions. The Santoprene handle is comfortable to grip. Dishwasher-safe. The jar is equally easy to use for left- or right-handed people. The blade assembly doesn't detach from the..."
"It produces much thicker, more rustic textures than any of our other picks do, and its motor isn’t nearly as powerful (and more likely to burn out if overtaxed)." This blender isn't as noisy as many other blenders, making it perfect for those early morning smoothies. You'll get great performance from this blender, which can hold its own against blenders that are more than double the price. DWYM Kitchen Experts plus Top Ten Reviews, Engadget, New York Times Wirecutter and 1 more. Along with user reviews from Amazon, Walmart and Best Buy.
" This is one of the quieter options among high-power blenders." "We don’t think this Oster is the absolute best blender out there. It doesn’t compare to Vitamix blenders in terms of power and longevity (we burned our Oster out after two and a half years)"
We identified the majority of the countertop blenders available to purchase. 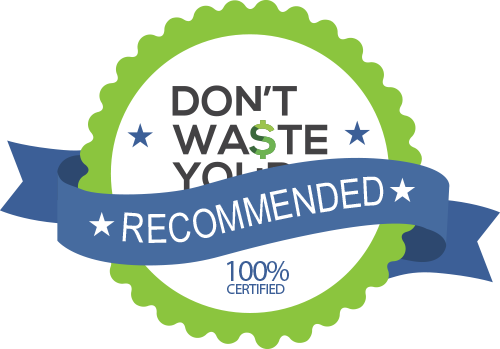 Reviews from our DWYM category experts and analysis of some of the most respected sources including: Consumer Reports, Healthy But Smart, Trusted Reviews, CNET, Top Ten Reviews. We also incorporate user reviews from the leading retailers including Best Buy, Target, Amazon, Home Depot, Walmart. Icy drinks performance was excellent. Puree performance was excellent. Ice Crush performance was excellent. Great programs for smoothies, hot soups, frozen desserts, purees and cleaning. Also comes with tamper, cookbook, guide and instructional video. More expensive than most other models, but excellent automatic programs are worth the cost. No digital display. There is no measuring cup in the lid cap. Costs more than the average blender. This is one of the quieter options among high-power blenders. There were some bigger chunks left in our smoothies during testing. From shakes to smoothies and beyond, a blender can become one of your most prized appliances. If you’re determined to get healthier, a blender can become an essential tool, helping you make nutrient-rich smoothies. But it’s also great for blending margaritas for your summer pool parties or making shakes for the kids. There’s no shortage of criteria to consider when you’re shopping for your next blender. Durability is important, but you also want to make sure it can handle every challenge you send its way. If you plan to make frozen drinks, for instance, you’ll need a blender that can easily crush ice into small bits. But a blender with a motor strong enough to tackle those tasks comes with a few downsides as well. One issue is noise. Some blenders are quieter than others, but the ones that get high marks for tackling every challenge are often the loudest. You’ll also pay a premium for the blenders that can handle a wide range of recipes. But there are blenders that are less expensive and also capable of making the drinks and shakes you’ll enjoy most often. When you aren’t making tasty concoctions, you’ll need to store your blender. If you have a gigantic kitchen, you may have counter space to store it in a corner somewhere. But most homeowners want to tuck it away. 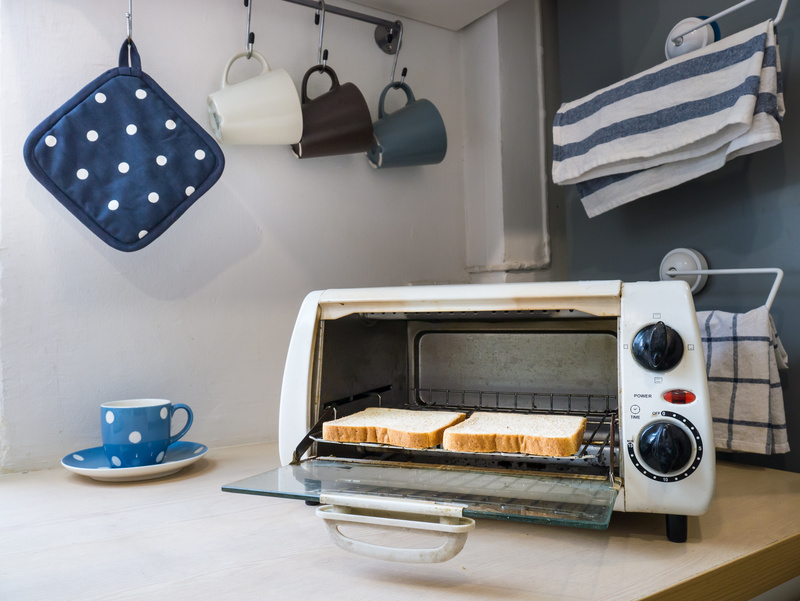 It’s important to pay close attention to size and weight to make sure it will be easy to slip under the counter when it’s not in use. Of course, even as you’re considering all of those things, you’ll probably still be concerned about price. Some blenders may seem to have a hefty price tag but once you read everything it will do, you’ll decide it’s well worth it. It can help to be honest from the start about the types of recipes you’ll make with your blender. By cutting out luxuries like mixing cake batter, you may be able to save money. It all started with the Waring blender. In 1936, musician and bandleader Fred Waring came up with a brilliant idea for a new kitchen appliance. Looking for a way to prepare the healthy meals and snacks he needed for his ulcer, he met an entrepreneur named Frederick Osius, who happened to be looking for a use for a motor he’d invented. Eager to create a device to help Waring, the inventor went home and worked on his blender until it hit the market in 1937. The original Waring blender sold for $29.75, with Fred Waring as its promoter. There was an earlier type of blender that was much more expensive and far less popular called an Osterizer, and it sold in Wisconsin starting in the ’20s. It’s hard to beat the Vitamix line of blenders, assuming you’re willing to pay a much higher price for a professional-grade blender. Both the Vitamix 750 and 5200 can expertly handle any task you send their way, whether you’re blending sorbets, ice cream, or frozen drinks. One thing that puts the Vitamix 750 above the 5200 is the five preprogrammed settings. It also has pulse mode, while the 5200 does not. The secret to powerful blending is in the motor. The Vitamix 750 comes with a 2.2 horsepower motor, while the Vitamix 5200 has a 2 horsepower motor. Although the Oster Pro Blender’s motor isn’t quite as strong, it can hold its own against other blenders that are much more expensive. The KitchenAid’s 5-speed blender has a sufficient motor to handle smoothies and basic chopping, but it can burn out if you work it too hard. Another consideration when choosing a blender is recipe availability. The Vitamix and KitchenAid blenders come with a few recipes, but you can also find blender recipes specific to those brands online. Although you can always pull up general recipes that work with any blender, it’s nice to have some that are customized to the appliance you own. If you want to store your blender under the counter when not in use, the Vitamix 750 and Oster Pro are likely the best options. Both have low-profile pitchers that make it easy to slide into shorter shelves. Clean-up time is an important consideration as well. The Vitamix blenders aren’t dishwasher safe, so plan on handwashing after every use. However, the KitchenAid blender is dishwasher safe. The control panel on the KitchenAid is also designed to be easy to clean. You don’t want to wake the entire house up just to make a breakfast smoothie. For a less noisy option, consider the Oster Pro Blender, which is among the quieter in its range. The Vitamix blenders, although extremely powerful, are also very loud. For the Countertop Blender category, we analyzed 106 of the most popular reviews including reviews from Consumer Reports, Healthy But Smart, Trusted Reviews, CNET, Top Ten Reviews, Healthy Easy Smoothie and more. The result is a ranking of the best Countertop Blenders.